WordPress has just released WP version 4.9, named “Tipton” in honor of jazz musician and band leader Billy Tipton. If you plan to edit your existing WordPress theme, WP v. 4.9, released on November 16, 2017 contains major theme customizer improvements, code syntax highlighting and error checking for a cleaner and smoother site building experience, plus a new Gallery widget, improvements to theme browsing and switching, and more. In addition to all of the above, WP 4.9 also includes many other enhancements and bug-fixes. Search online for any problems or issues that other WordPress users may be experiencing with the new version. This includes incompatibilities and conflicts with plugins, themes, and other issues (just search for something like “WordPress version 4.9 problems” or “WP v.4.9 bugs”, then go through some of the results to see what kind of issues and errors users are experiencing). If you don’t want to perform site backups, then consider getting assistance from a WordPress professional, or use a backup plugin. Note: Some of the images on this page were sourced from WP 4.9 release notes. 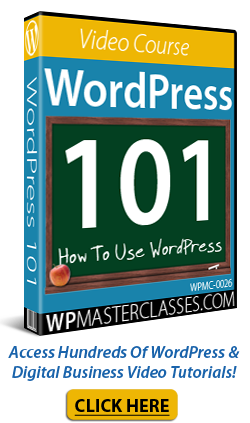 WordPress version 4.8 Evans, released on June 8, 2017 contains a number of updates that provide more ways for users to express themselves and for businesses to represent their brand. In addition to all of the above, WP 4.8 also includes a number of other enhancements and bug-fixes. Search online for any problems or issues that other WordPress users may be experiencing with the new version. This includes incompatibilities and conflicts with plugins, themes, and other issues (search for something like “WP 4.8 problems” or “WP 4.8 errors”, then go through some of the results to see what kind of issues and errors users are experiencing). If you don’t want to do site backups, then consider hiring the services of a professional, or use WordPress backup plugins. Note: Some images shown above have been sourced from WordPress’ own release notes.